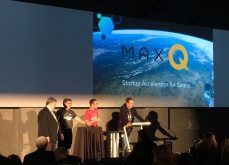 MaxQ Accelerator Inc., a new not-for-profit company based in Kitchener-Waterloo, today announced it is launching the first dedicated space accelerator in Canada with a pilot program scheduled to start in September. In his first visit to the Canadian Space Agency (CSA) as the new Minister of Innovation, Science and Economic Development (ISED), the Honourable Navdeep Bains announced that the Government of Canada would be funding through the Canadian Space Agency a new advanced space vision system for the International Space Station (ISS) to be designed and developed by the Neptec Design Group Ltd. of Ottawa. 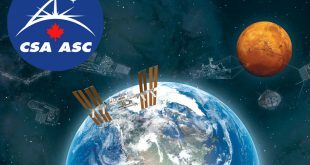 Neptec has been awarded a Phase A contract by the Canadian Space Agency to design a Dextre Deployable Vision System (DDVS) with the two-fold goal of providing increased inspection capability for the International Space Station (ISS) and to evolve Canada’s capability space vision expertise for future space exploration opportunities. 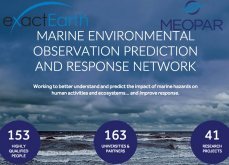 The Marine Environmental Observation Prediction and Response Network (MEOPAR) and exactEarth announced today they are holding an worksop on September 24 and 25th in Halifax with the theme Automatic Identification System (AIS): Applications, Analysis and Data Management Technique. 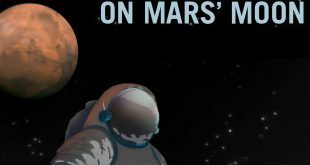 The Canadian Space Agency (CSA) has released an announcement of opportunity (AO) for the Space Technology Development Program for Industrial Capability Building Contribution. 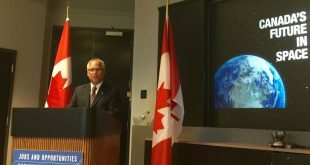 This past Friday the Honourable Gary Goodyear, Minister of State (Federal Economic Development Agency for Southern Ontario) announced at the headquarters of COM DEV International that the government had selected 21 companies and 38 research and development projects to fund as part of the Canadian Space Agency’s (CSA) Space Technology Development Program (STDP). 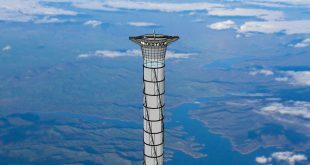 The Canadian Space Agency (CSA) has issued a notice of proposed procurement for 23 identified Priority Technologies (PT) through the Space Technology Development Program (STDP). The Canadian Space Agency has issued a Request for Information (RFI – 9F013-140805/A) regarding Space-Based Automated Identification System (SB-AIS) data services.